"I don't know where I would be without Melanie! She is knowledgeable, informative and guides me to my decisions. Melanie works quickly and is easy to reach if I have a question. I would recommend Melanie to anyone who needs Accounting help!" Her top qualities: Great Results, Personable, expert. Laura Paton, Managing Director at Partners Resource Group Inc. I have been dealing with Melanie for the past 3 years or so. I have an employee who lives and works in the Province of Quebec. She has been most helpful in dealing with Revenue Quebec and the CRA and I am most grateful for the work that she has done. Melanie has been our business and personal accountant for at least 15 years. In fact, we chose to stay with Melanie and follow her when she decided to set up on her own. 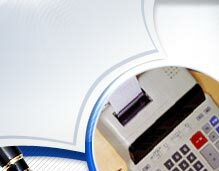 Melanie has always provided excellent accounting services. She explains things patiently and clearly and has given us good advice for future planning purposes. On several occasions we have been very grateful for her quick professional management of Canada Revenue's business inquiries. We most definitely plan to stay with Melanie for all our business and personal accounting for many more years to come.